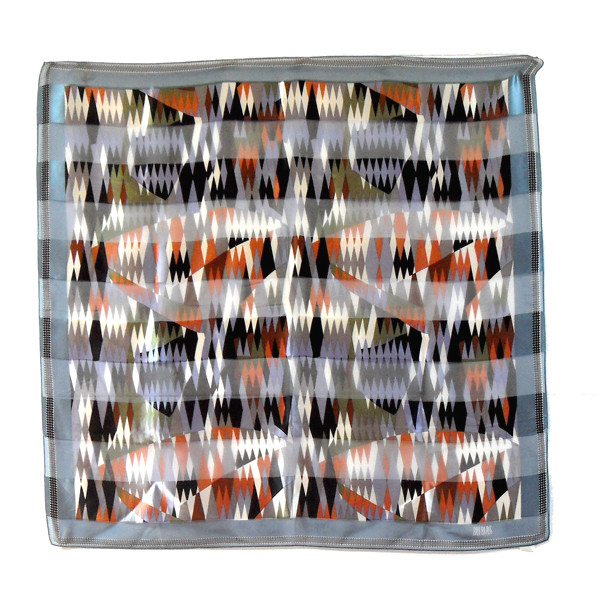 Hand stitched edge chiffon and satin silk scarf with blue border and vibrant coloured geometric central design in silver, mauves, tan, green, cream and black. Bill Blass name printed in white on one corner. Measures 35″ (89cm) x 35″ (89cm).